Meet the Chief Volunteer Officer! I am proud to introduce Diane McFarlane, Esq., Girl Scouts of Nassau County’s new President and Chief Volunteer Officer! I have had the privilege of working with Diane for the past six years, first on the Council Nominating Committee, then as Member-at-Large of the Board of Directors and most recently as Executive Vice President of the Board. Diane served as Chair of the Nominating Committee for one year; she was an Alternate National Council Delegate to the Girl Scouts of the USA’s National Council Meeting in 2005. Diane is Manager of Staffing and Professional Development at Goodwin Procter LLP’s Manhattan office. She is responsible for staffing all New York Business Law Department associates, as well as monitoring their workloads, professional development, performance evaluations and facilitating the provision of interim feedback. 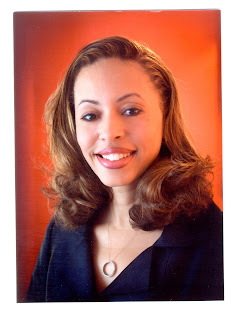 Prior to joining Goodwin Procter in 2005, Diane was a senior regional counsel at the New York City Department of Education, a Special Assistant Attorney General at the New York State Attorney General’s office. She also practiced as a litigation associate at Martin, Clearwater and Bell, LLP, and was an Assistant District Attorney for Kings County. Diane received her J.D. from Hofstra University School of Law and her B.S. from SUNY at Stony Brook. Diane has a strong commitment to community service and is also serving this year as Vice President of the Nassau County Chapter of Links, Inc.
At her election, Diane said that she is honored, humbled and ready to serve as President and Chief Volunteer Officer. Her vision is clear and concise. Diane is committed to having Girl Scouts of Nassau County be the leaders and experts on girls and to continuing to be a high performance Girl Scout Council. It’s almost time for camp … And from the ages of eight to twenty+, camp was the favorite part of my year. It was at sleep away camp that I could indulge in my active fantasy life. In my youngest years, at camp I was not the chunky, smart kid who was being raised by her aunt and uncle. At camp I was the smart, beautiful, athletic, artsy and somewhat wistful kid, and when her parents didn’t come on visiting day, it was easy to be busy in the craft shack, or otherwise occupied. Nobody asked. As I got older, I made summer friends that lasted into college – Kathy Bray was even my roommate one year – and in adulthood. In high school I became a camp counselor, a job where they paid me to go swimming and ride horses! … And all the way through college, I went back as a volunteer counselor for two weeks at the end of each summer at the Sertoma Camp for Handicapped Kids, held at Camp Winnataska in Alabama.I was lucky. The camps I went to did not charge a lot of money, and a couple of summers I even went to very fancy camps where my aunt worked as the dietician, and I got a much reduced fee. When money was tight, my other aunts and uncles helped a little with the fees, made sure I had the niftiest white shorts and shirt for Sundays, and sent me an extra dollar each week for the canteen. I was lucky! Every girl does not have the opportunity to go to camp. There are the real benefits of discovering the outdoors, seeing nature up close --including human nature, learning new skills, and connecting with friends. Girls can take action and earn badges and develop interests that will last them way past August. This is true for sleep away camp and for day camp. 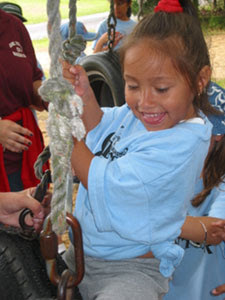 The Girl Scouts of Nassau County camps are more affordable than many. A week at Camp Blue Bay cost $525 and a week at Day Camp cost $300 … However, not every family can afford to send their daughter to camp for even one week. With unemployment at a record high on Long Island, we know that some families are having to take camp off the table as an option for their daughters. Our requests for Financial Assistance are more than ever, and we don’t want to turn any girl away. Your gift of a Girl Scout Campership can make a difference in the life of a girl. You can give a girl the chance to spread her wings, her imagination and her brain. Some girls need a respite from the slings and arrows of their home life, like I did. Most just want a chance to take a break, disconnect a little from their electronics, and have fun in a place that is safe, nurturing and so different from life in the real world. To learn more about Girl Scouts of Nassau County Camps go to http://www.gsnc.org/camp or call Laura Bissett- Carr at 516 741-2550 ext 233 who will tell you all about camp – and why camp can benefit every girl! To donate toward a campership for a deserving girl, please go to http://www.gsnc.org/support/support.asp and click on Campership in the right column. Checks can be mailed to Girl Scouts of Nassau County, 110 Ring Road West, Garden City, NY 11530 or speak to Joyce Wagner, ext. 225. Whenever I have the privilege to speak one-on-one to thank our volunteers, they ALWAYS tell me how much more they get back than they give. We know that is true in terms of personal satisfaction. VOLUNTEERING – for the Girls Scouts or any group with whom you share a passion and a mission – IS GOOD FOR YOU IN SO MANY WAYS! Volunteering is a chance to give back and bring positive change to the world. It can also serve as the ultimate resume booster, demonstrating to potential employers that a job candidate is community-minded and in possession of a range of desirable skills. In fact, highlighting community service might just be the right ingredient that sets one candidate apart from the competition. Research has shown that people who volunteer live longer and are healthier and happier; a boost to self-esteem and well-being for any job seeker! Those who volunteer help a worthy cause while honing their talents and expanding their network. These networking opportunities are direct and effective, more influential than the usual meet-and-greet events. The volunteer position most lauded in our organization is that of Girl Scout Troop Leader. The women and men who make time in their lives to work directly with girls develop a host of skills that transfer into the work world. They organize and motivate. They teach and they listen. They are problem solvers and mediators. They manage administrative tasks, spearhead fundraising events, and identify community service needs. All of them work from their hearts. Volunteering is a low-cost and low-risk way to explore new career avenues, expand an avocation or just try something new. It is also a way to take existing talents and use them in a new way. For someone who is considering becoming a teacher, being a Troop Leader might be a way to gauge her ease in communicating informally with children. An accountant might lend her insight to a finance committee. Someone who is an avid knitter might volunteer to teach others how to knit. Someone who loves the outdoors, but doesn’t have access to outdoor opportunities, might decide to volunteer at camp. Love to fix cars? Have an antique doll collection? Trained in first aid/CPR? Want to raise puppies? Everyone has assets that will transfer to a volunteer organization. Almost every volunteer organization has opportunities to use people with their current skill set, and ways for people to learn new things and apply themselves in new ways. Once you’ve gained worthwhile experience in a volunteer setting, be sure to highlight it properly on your resume. For example, rather than just saying “Volunteer – Girl Scouts,” consider “Fundraising for Special Events – Girl Scouts.” That distinction can help you land an interview and result in a higher salary offer. – Need some ideas on how to spin your volunteer skills in a resume?… Send me a note and I’ll help! What do you have to lose? Donate your time and talent to a worthy cause. You will quickly see that you have everything to gain in the process. And a little good Karma will go a long way! Girl Scouts of Nassau County is jumping into the blogosphere, and I’ve got the first installment. I’m Donna Ceravolo, and I have the best job in the world as Executive Director/CEO of Girl Scouts of Nassau County. We have 22K girls and 7K adult volunteers here in our jurisdiction; one out of every five girls between the ages of 5 and 17 are Girl Scouts here. Nassau County is part of the suburbs of New York City; we are the first county to the east of the five Boroughs, in the middle of Long Island. Nassau County is a compact 287 square miles, with a population of 1,350,000. I have a great staff of about 60 people, but it is the 7,000 adult volunteers who make Girl Scouting possible here. I’m always a Girl Scout, but I am also a wife, a mother (21 year-old son) and a good friend. Have a bulldog named Earl Warren, and a Laborado+Poodle named Yancy. My earliest career goal (at age 14) was to have a job where I got dressed-up and had someone else to clean my house, so by my count I’ve been pretty successful! I like to watch TV, read, travel, bake cakes...and there is the shoe thing. I look forward to telling you more about the REAL Girl Scouts, and to exploring how Girl Scouting builds girls of courage, confidence and character who make the world a better place. We’ll delve into some of the most critical issues facing girls today – including relational aggression , cyber-bullying, and body image. We’ll do Girl Scout Cookies® 101, and I’ll try to answer questions you might have about the world of Girl Scouts. From time to time we’ll have guest columnists, so let me know if you have stories to share. Once a Girl Scout, Always a Girl Scout!